The modern human resources department seeks to build a treasure trove of employees to achieve success. As a nine-year-old Cuban immigrant, Jon Michael Pardo may not have envisioned his professional path leading him to HR, but the work perfectly suits this self-described people person. The same holds true for contractors, who may also need guidance. “Anything you do in life, you have to like it. You have to have a passion for it,” he says. Pardo and his parents, Ramon and Miriam, left Cuba in 1968, initially landing in Puerto Rico before moving to New York when Pardo turned sixteen. He attended St. Peter’s University and then earned two master’s degrees in business administration, one from New York Institute of Technology and the other from Liberty University. After the Army, he worked in other fields, including pharmaceutical, biotech, and healthcare. It was at Christ Hospital that Pardo met his greatest mentor, Robert Parker, vice president of HR at Christ Hospital in New Jersey. Pardo worked at the hospital for ten years, starting in benefits and compensation before eventually moving to employee and labor relations. “Robert showed me what to do, the dos and don’ts in HR. He was a great mentor,” Pardo says. 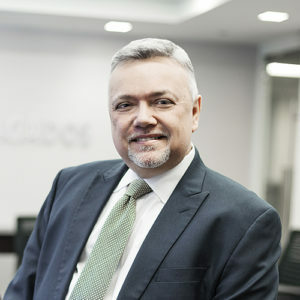 In 2016, he joined Dragados, one of the largest construction companies in the world, building bridges, tunnels, and nearly seventeen thousand miles of roads and highways. 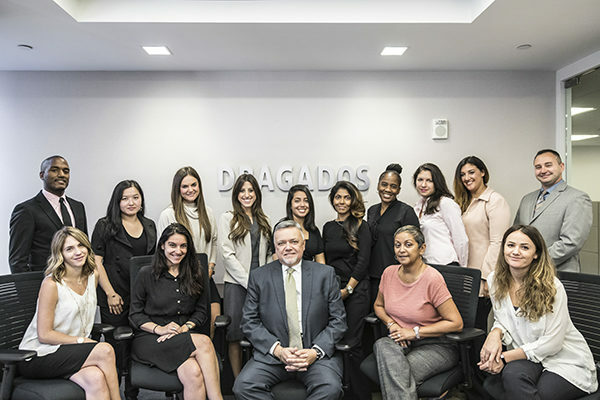 Based in Spain, Dragados opened offices in the US eleven years ago. Pardo shares that the company has grown 40–60 percent per year since then, with a workforce near two thousand employees further underscoring the value of HR. “If you don’t have significant reliance on HR as a foundation for growth, you will fail in becoming a leader in your industry,” he says. The root of this change, he adds, was the ability to meet the demand necessary for business to flourish. Industries like construction, where there is a lot of turnover, had to find ways to retain employees and develop the workforce from within. Employee development is the current way that many companies are doing so; many companies are using benefits, compensation, and training to ensure that a job doesn’t last for only the length of a project, but can be extended to the next project and beyond. One tool at Pardo’s disposal is that the federal government requires companies to show that they’ve made an effort to cast a wide net for employees and contractors. He admits that achieving this goal has made his job more challenging—but in a positive way. “New laws require us to have small business opportunities to take advantage of contracts that before were not there. They have grown a lot of opportunities for minorities and women,” he says. A famous example is Linda Alvarado, owner of Alvarado Construction and co-owner of the Colorado Rockies major league baseball team. Jon Michael Pardo strongly advocates for bringing more women into the construction industry. His human resources team, pictured here, is made up of mostly women. The construction industry may be perceived as a man’s world, but according to Jon Michael Pardo, that isn’t true outside of the US. At the company headquarters in Spain, for instance, many women are found in high-ranking positions. “Companies need to realize women can do the job as well as or better than men, but they have to be given the opportunity,” he says. Before entering the HR world, however, he enlisted in the US Army, where he served as a personnel administration specialist. While the job concentrated on paperwork, issuing orders to move troops, it exposed Pardo to the process of human resources and the workings of a personnel department.